What can you make in 20 minutes, with one pot, and these 10 ingredients? 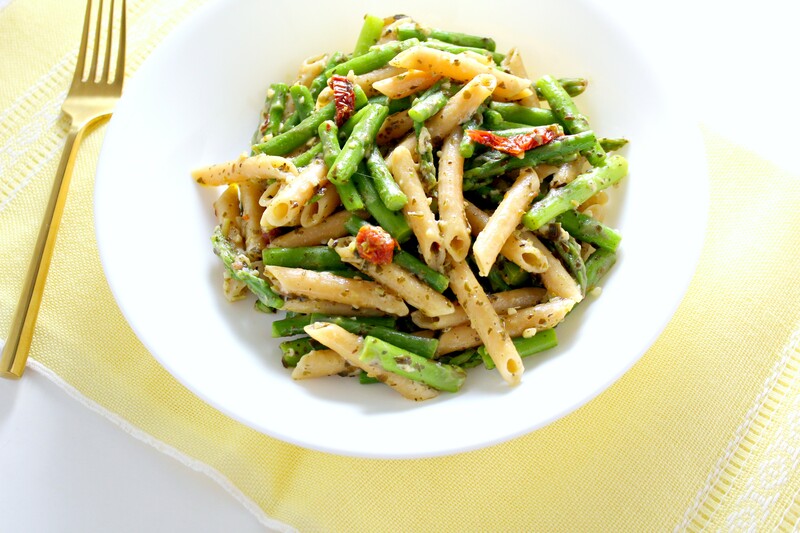 One incredibly simple and delicious Lemon Asparagus Pesto Pasta. What are you waiting for? Make this recipe today! This fool proof recipe is one of my weekly go tos. It’s made from ingredients that I always keep on hand: pesto, lemon juice, sun-dried tomatoes, mozzarella cheese, spices, and pasta. Bet you have most of these foods in your fridge or pantry already! I like using high protein pastas. Most of them are made with some kind of protein rich starch like lentils or chickpeas. I have used Barilla Plus, Banza, and Modern Table high protein pasta noodles. All are delicious! 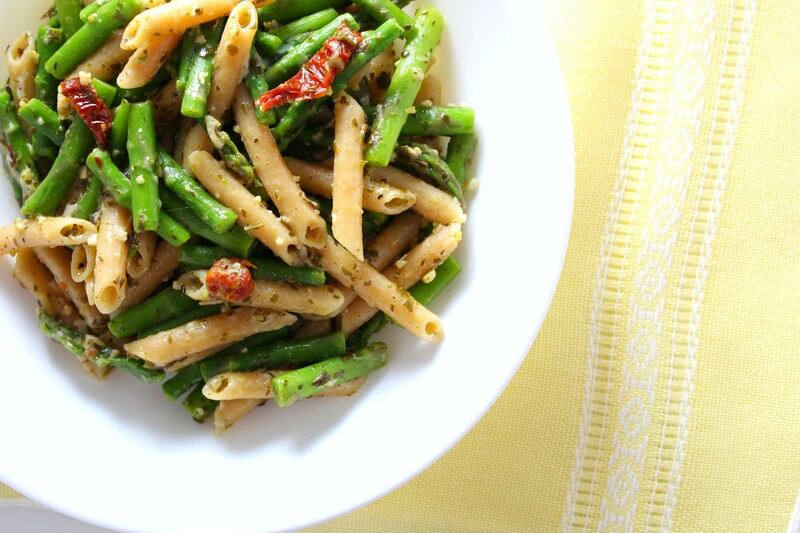 If you’re more of a purist and want to use normal pasta- go right ahead! 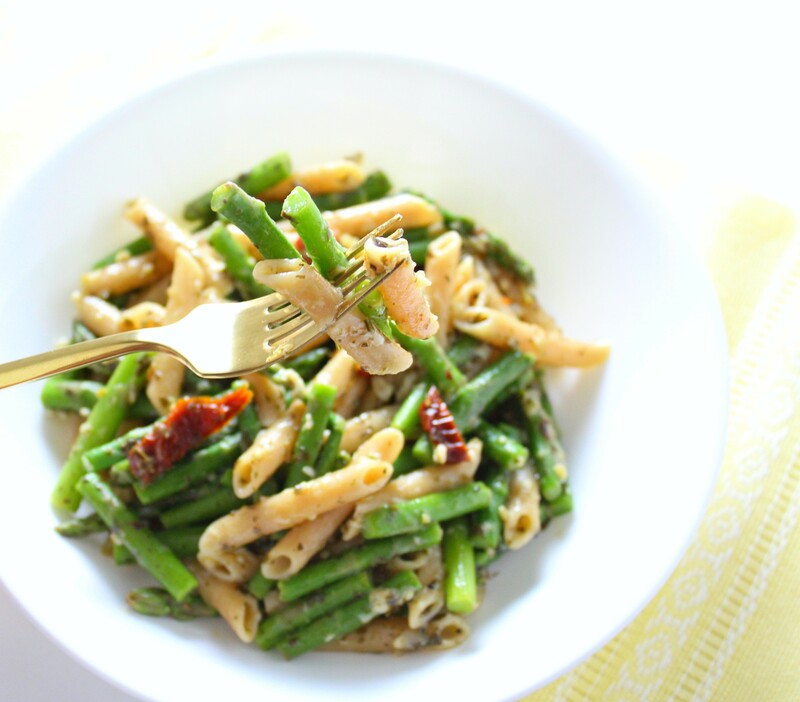 This recipe can be made with any pasta your heart desires. Spaghetti, penne, macaroni, linguini. It’s Totally up to you! In a large pot, cook pasta according to the package time (7-15 minutes). When there is 5 minutes remaining, add asparagus pieces. Drain and add the pasta and asparagus back to the pot. Add pesto, garlic, lemon juice, sun-dried tomatoes, mozzarella cheese, salt, pepper, and chili flakes.